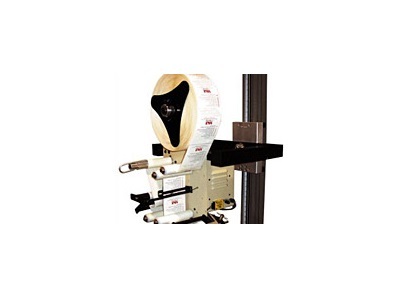 Label Applicators – Dalemark® Industries Inc.
A label applicator is also known as a label dispenser and in essence is a labeling machine that simplifies the label applying process. In industrial circumstances, where mass produced objects each require an individual label, such machines are vital. A few industries that make daily use of labeling systems including label applicators are manufacturing, shipping and handling, pharmaceutical, product branding and pricing, food and beverage and packaging. The labels utilized by these and other industries may serve a variety of purposes; barcodes are pricing systems that are applied to products through labeling, as well as regular stick on price tags. Nutritional information on all sorts of packaged food is also applied with a label applicator or dispenser, as well as allergy or safety warnings. Simple product instructions are often attached by way of a label and shipping packages is almost always directed by address labels attached to the packages. Each label applicator variety functions in a distinct way. Air-blow applicators work by holding a label in place with the labeler’s vacuum grid. At the exact moment the item passes under the grid, air jets activate, blowing the label onto an exact spot on the product. Air-blow applicators are highly efficient and accurate. Tamp-blow applicators are similar to air-blow applicators. At the exact moment the item passes under the grid, the applicator is blown onto the product. Some tamp-blow applicators may be dual-action; that is, they can apply two labels at the same time. With a wipe-on applicator, a label, moving at the same speed as the product, is wiped onto a product passing on a conveyor belt. Wipe-on applicators can corner-wrap labels and apply labels to curved or unevenly shaped products. In addition to the previously mentioned label applicators, several other types are available for specialized uses. For instance, printer-applicators are combination machines that are able to both print and apply labels automatically. Another type of applicator is the manual or pressure-based applicator/dispenser. With these applicators, labels are not automatically applied but are always readily available. These are often seen in offices and other locations where limited labeling takes place. Label Applicators Label applicators apply pre-printed labels to products. There are three basic types of label applicators: air-blow, tamp-blow, and wipe-on machines. All three of these make label applying an easy and stress free task.